An article on power transmission tower structure published in « Case Studies in Engineering Failure Analysis » of october 2015. 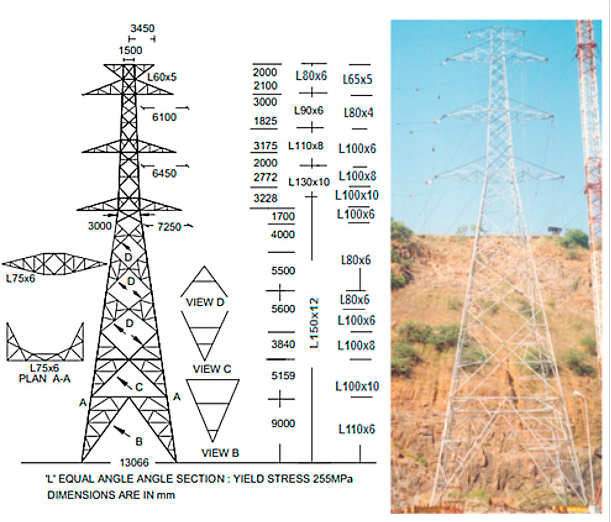 In this study, the structural susceptibility of a 400 kV power transmission tower as well as various methods of determining the critical areas of above mentioned structure are investigated.The critical areas of the transmission tower through impact factor and capacity-to-demand ratio are determined so that it will be more feasible to propose retrofitting methods for the damaged structure in order to prevent the future risks. It is concluded that the impact factor corresponds with the capacity-to-demand ratio in 41% of APM cases. Ce contenu a été publié dans Publications par geraldb17, et marqué avec analyse de défaillances, cas concrets, case study, Critical Areas, Failure analysis, power tower, Progressive Collapse, tower, zonescritiques. Mettez-le en favori avec son permalien.